Manufacturers of every kind of electronic or electrical devices are rushing to add features which require connection to the internet. In their rush to market, these companies sometimes overlook the complications of hardware and software security design and construction to get the newest, coolest function working at lowest cost. While we aspire for smart cities, smart environments, smart retail or smart homes, it becomes absolutely essential for these diverse industries to evaluate the security implications of IoT in the LIVE environment. This edition will talk about IoT security testing services which are applicable across any and every domain that is ready to leverage the technology. Additionally, it will also provide testing recommendations for SQL injection and overview about BlackArch Linux. New Year brings an opportunity for Engineering teams to update their OS/Platform/Device testing matrix as per market usage trends. Fall 2017 had witnessed releases of newer versions of Apple and Android operating systems. As a result, Winter 2018 is witnessing a shift in usage trends of Smartphones. In this newsletter, we bring to you the latest trends in market usage of Smartphone Operating Systems, their manufacturers and information about newer releases of Mobile engineering tools. In the past few years, we have seen a drastic change in technology. During the last decade, many ideas have become a reality. In fact, in 2017, many of these technological innovations became available to the general public, such as humanoids, VPAs, self-driven cars etc. Due to these frequent technological changes and innovations, it is important for SQA companies to stay updated and upgrade their traditional testing techniques. Also, they need to train and help engineers learn new testing skills for a good quality assurance. In this newsletter, QASource has come up with a few forecasts for some trending technologies being used in the industry i.e. AI, IoT, Big Data, and Blockchain and the changes/enhancements required in our current testing techniques. Monitoring of application components is a crucial step during performance testing to ensure that the application workflows perform optimally in the real world. It also enables us to identify the root cause of potential bottlenecks before it hits production environment. This time around, we have gathered some useful information related to APM tool selection & monitoring practices and evaluated one of the major APM tool (New Relic). We continue to support our community with useful tips & knowledge base. 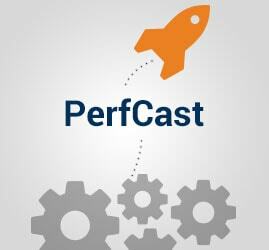 Keep exploring more on performance testing with our quarterly performance testing newsletters. One of the most overlooked steps in designing, developing, and maintaining APIs has to do with testing them for data consistency, response times, and availability. 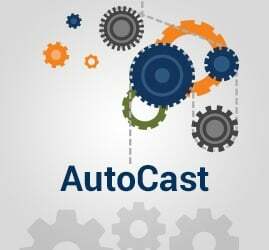 In API testing, we test APIs and its integrations which results in most optimal functioning. It can be driven in two ways, using commercial tool or by developing your own testing framework. All of these are based on API needs (Say: How API technically works, Handles large amount of calls, Permission/Access controls etc.) In this newsletter, we bring you the concepts that helps to understand API testing and its tools/techniques used to perform so that you can employ the right kind of approach as per your testing requirements. Today, millions of web applications exist to make our lives easier and much more interesting. We can shop online, pay bills, chat with friends and relatives, or communicate with people all over the world. With all this provision, The “malicious” Eve is always lurking, waiting for the perfect moment to attack. In order to develop secure applications, it is necessary to use a security development lifecycle. Security should be considered and tested throughout the application project lifecycle. 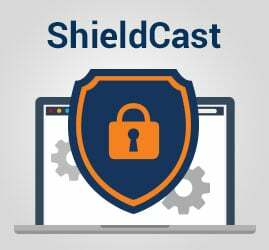 Shiledcast is here to help you in security testing tasks. In this newsletter, we will discuss about the things to consider while choosing security testing tool, details about DOS(Denial-of-Service) Attack and OWASP ZAP along with some latest news on cyber security. The technology sphere is changing day by day. The traditional approach where organization(s) had to buy their own network, purchase software license(s) is now being replaced with cloud computing. In cloud computing, organization(s) use the machines, software license(s) on demand basis and they pay for hours only when the resources are used. On top of it, they also get the benefit that the machines are available across the world. Cloud is the only solution, if performance testing needs to be performed from different Geographical locations. Cloud based performance testing solutions provide distinct advantages in terms of speed, scalability and availability of on demand test labs without much investment or efforts. 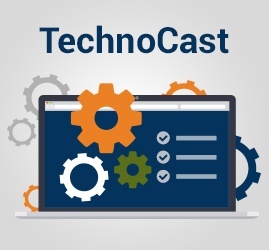 Our experts have provided information like tips on cloud based performance testing and tool selection in this quarterly performance testing newsletter. Hopefully, you will like it. Focused quality and faster delivery are the two major needs of today's software development industry and many organizations are working hard to maintain these qualities by implementing Agile methodology in their software development process. Further, to support the agile methodology, companies are heading towards the implementation of CI/CD in their SDLC. Our summer newsletter edition explains, the high-level approach and benefits of CI/CD implementation. During this Fall 2017, world will witness the release of newer versions of iOS and Android operating systems. Communities have started debating who will be better - iOS or Android? It will be the 10th anniversary of the original iPhone and Apple wants to make it a hit. Android is now a mature OS and is capable to hang with any OS we put it up against. The changes coming in Android O are not revolutionary changes, but rather incremental improvements. 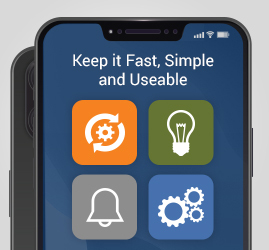 In this newsletter, we have highlighted major features of both operating systems and bring you the latest news in Mobile engineering space. Data has become an essential part of every industry, organization and individual. With the advent of social media, the data is growing exponentially and needs to be managed so that it can be stored and retrieved quickly for faster processing. Here, 'Big Data' is a term used to identify the datasets that cannot be processed using traditional computing techniques. New technologies are required to store unstructured large datasets and processing methods. In this newsletter, we bring you the concepts that help us to understand the tools/techniques used to manage Big Data so that you can employ the right kind of tool as per your testing requirements. QASource Blog, for executives and engineers, shares QA strategies, methodologies, and new ideas to inform and help effectively deliver quality products, websites, and applications. Our bloggers are the test management experts at QASource. They are executives, QA managers, team leads, and testing practitioners. Their combined experience exceeds 100 years and they know how to optimize QA efforts in a variety of industries, domains, tools, and technologies.